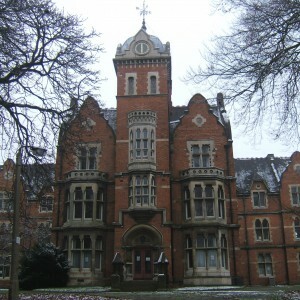 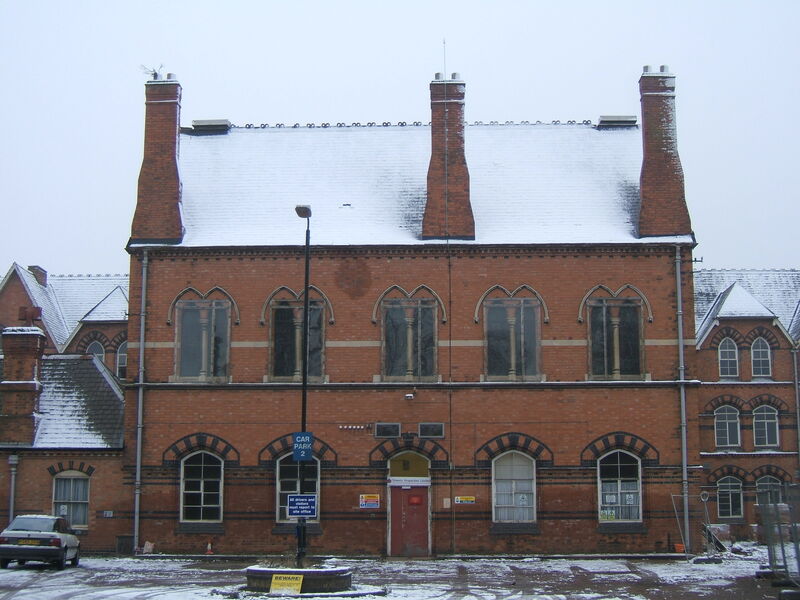 Prior to the construction of it’s own asylum the Borough of Leicester utilised space at the County Lunatic Asylum, opened in 1837 to the south of the town as part of a joint funding agreement between County, Borough and Subscribers which pid for the upkeep of the institution. 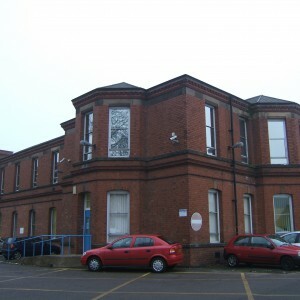 As with other asylums, the demand for space between a number of contributing bodies resulted in the borough providing its own separate facility. 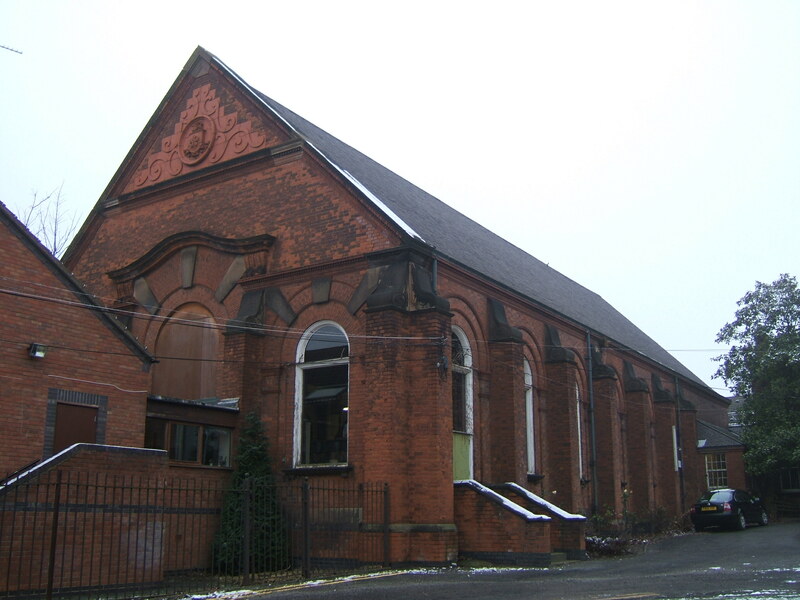 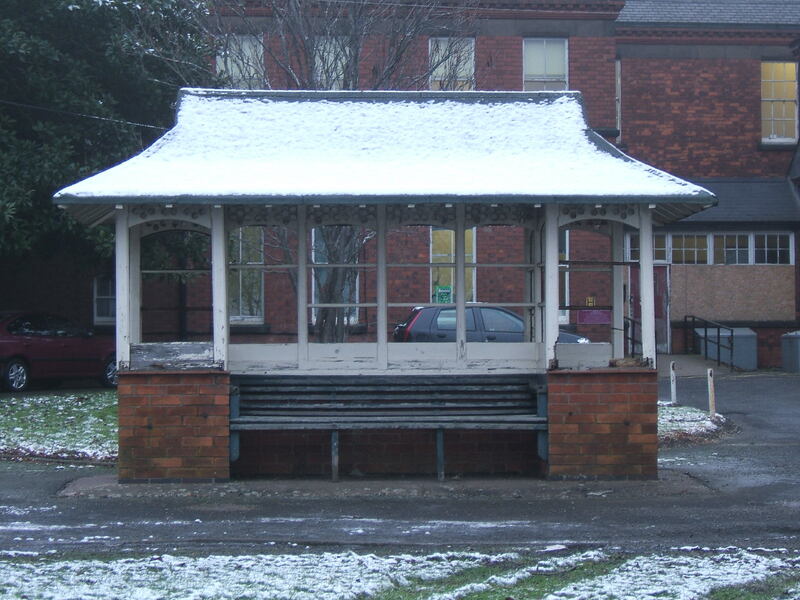 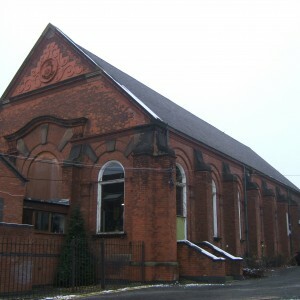 By the mid 1860’s a site had been chosen to the north west of the town, just east of the village of Humberstone and was available for use from April 1869. 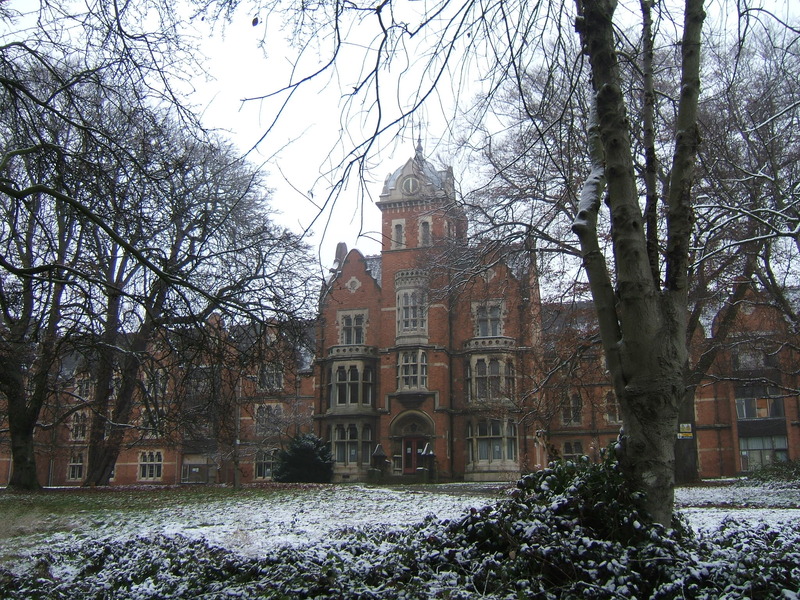 The building occupied the estate and site of Victoria house, a large detached private residence at the junction of what became Victoria Road East and Gipsy Lane. 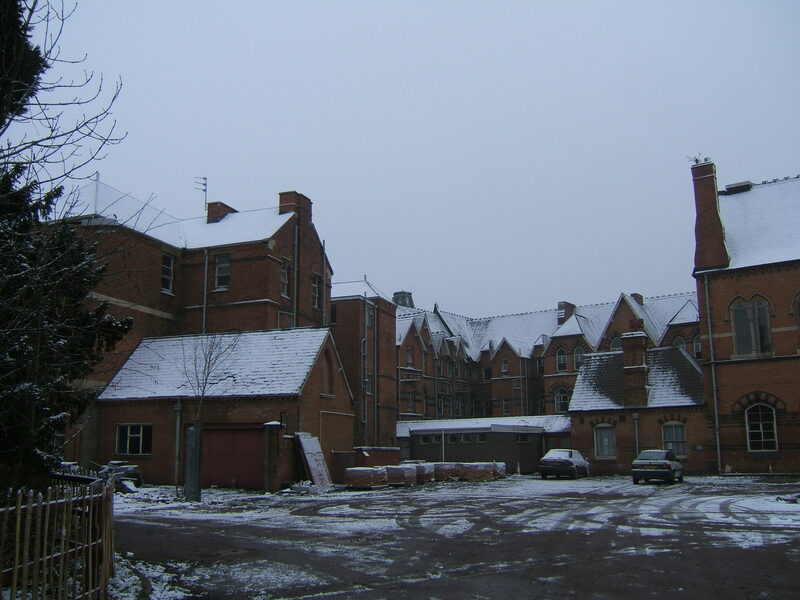 The asylum was constructed o accommodate 274 inmates with males occupying the east wing and females to the west, both wings being of three storeys, the uppermost of which occupied the attic floor of the steeply pitched roof. 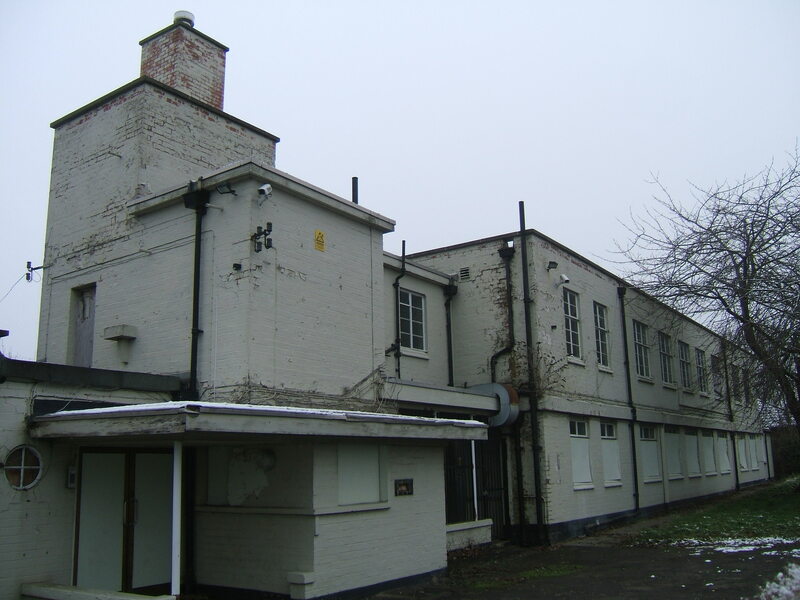 Half of the length of each of these wings was swept back to enclose the functional areas to the rear and gave the building a compact ground plan, and a short facade whilst leaving space for subsequent expansion to either side. 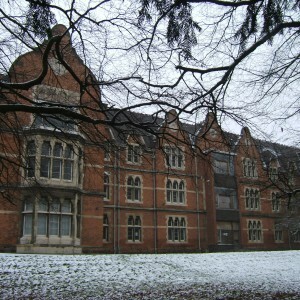 The projecting central block was occupied by various administrative functions including the committee rooms with the medical superintendent’s residence on the floors above. 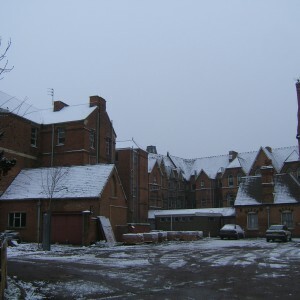 Behind this block stood the dining hall with chapel above, and service blocks such as laundry, workshops, boiler house etc. 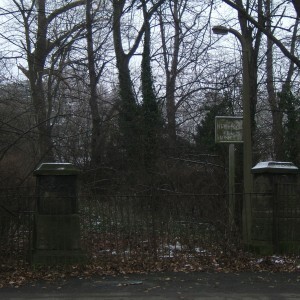 allocated space behind the wings of the respective gender who worked within them. 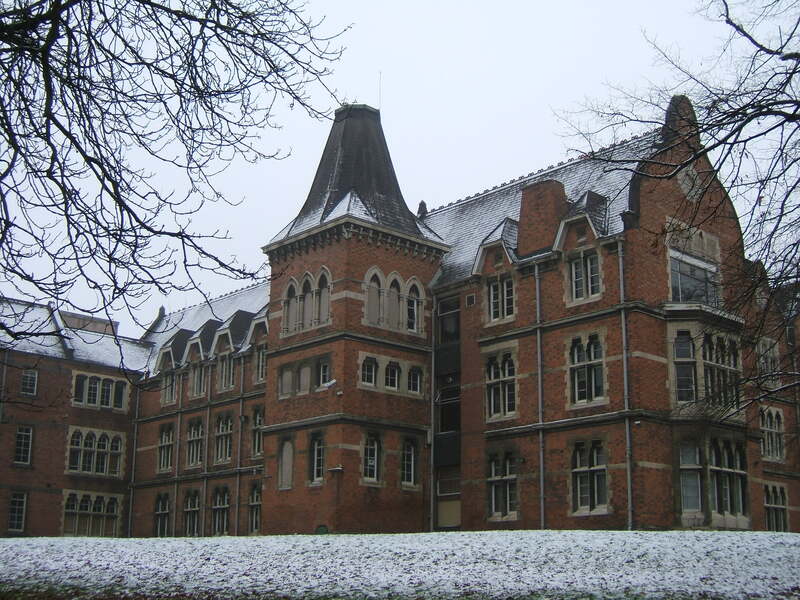 The structure was executed in soft vermillion coloured brick with stone lintels shaped to gothic forms on the principal south facade, but polychrome segmental heads to the functional aspects, the roof being of slate. 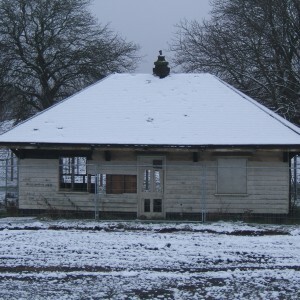 The borough engineer, Edward Loney Stephens provided the original design which was subject to a number of revisions prior to construction. 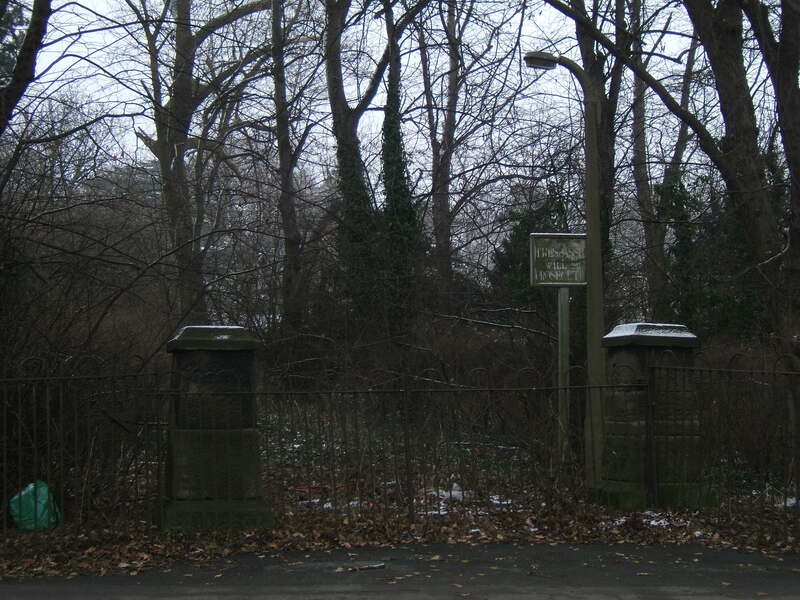 A lodge was provided at the gate from Gipsy Lane and the site enclosed by a wall to this side. 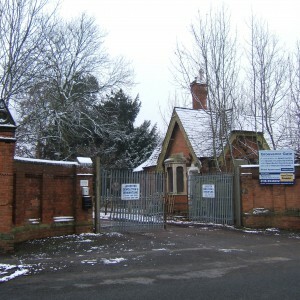 The Victoria Road frontage was less forbidding with a gate and driveway approaching the main building from the south west. 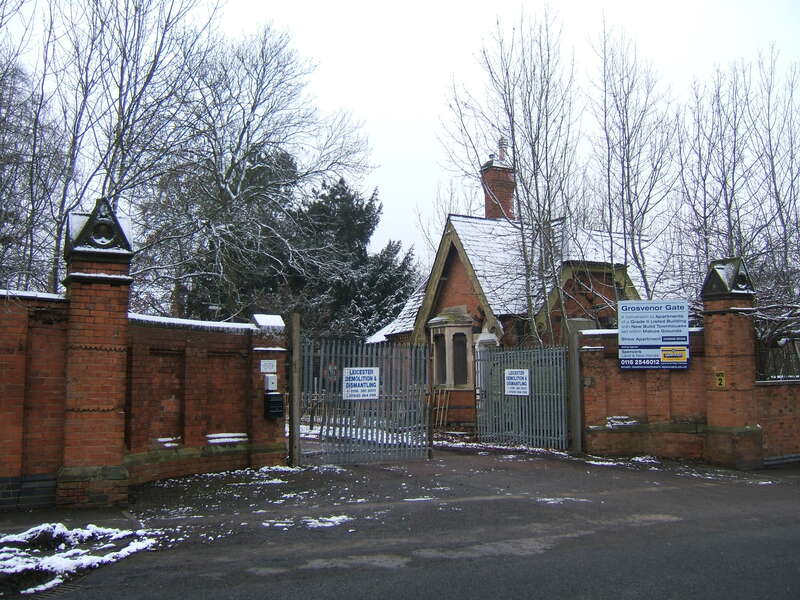 This appears to have largely utilised the gates and driveway from Victoria house. 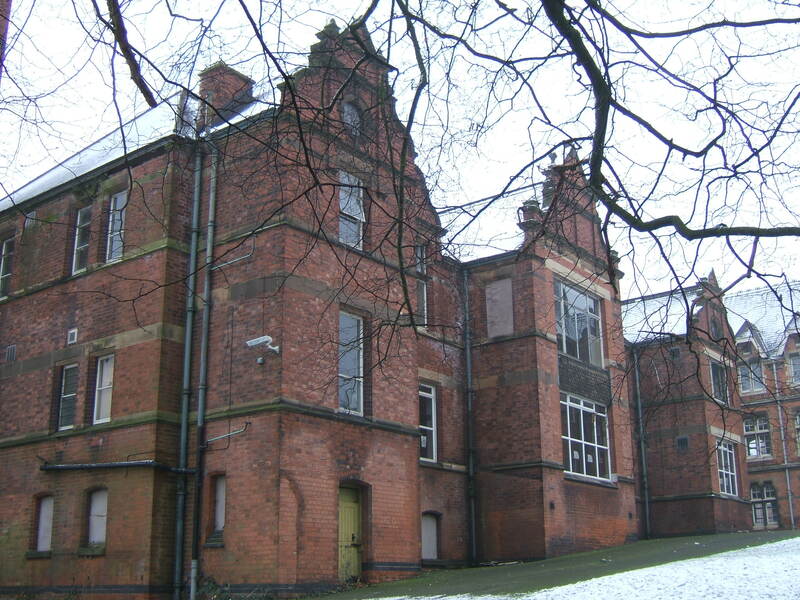 From an early date an isolation hospital for inmates with infectious diseases was provided to the north west of the main building and was later known as The Villa, having had a second storey added. 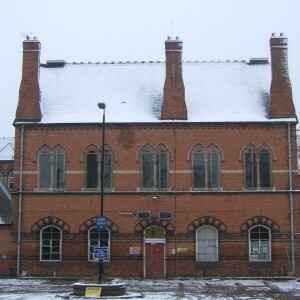 The same building materials were employed in its construction as the other structures although the level of decorative detail was significantly less. 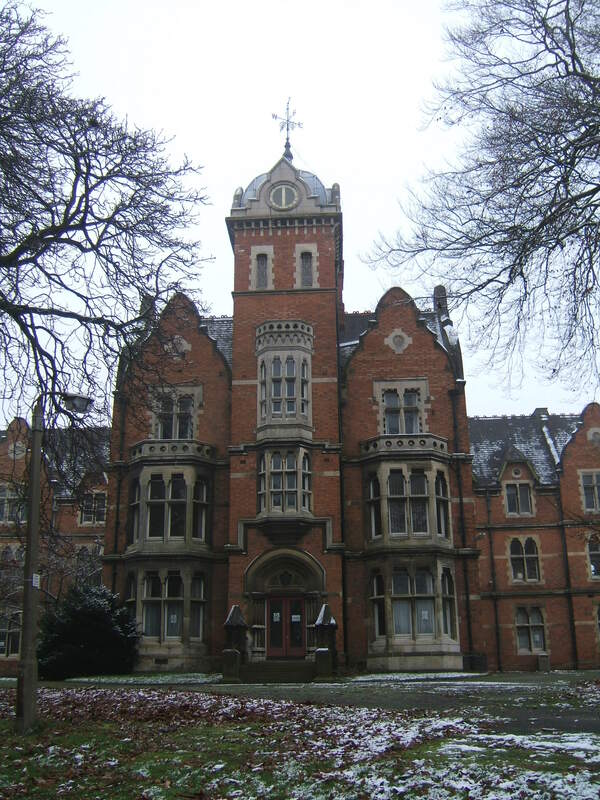 An addition to the asylum took place in similar style to the main building in 1883 as a continuation to north of the male ward albeit at a slight dog-legged angle. 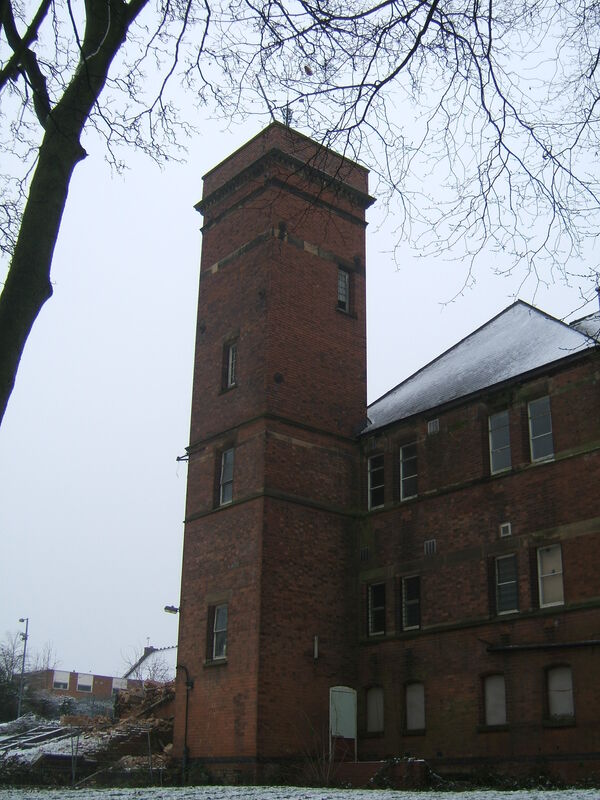 This was followed in 1890 by an addition to the female wing at right angles to north wing which included a small water tower to its west end. 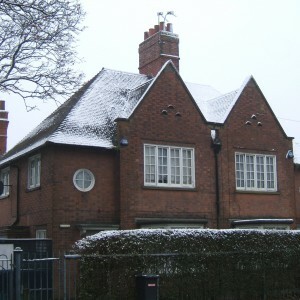 Both extensions utilised a degree of ornamentation along the lines of that used in the main building however the use of horizontal banding and other detailing are in line with those of George T. Hine, originally a Nottingham Architect. 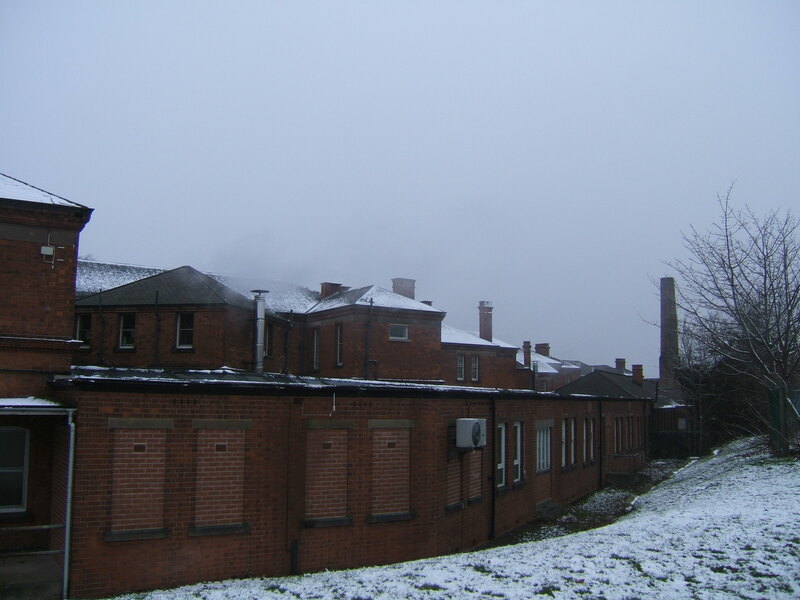 In 1899 plans were approved for signifiant additions to the asylum which would see the construction of an entirely new male wing to the east, with replacement administrative facilities, steward’s stores, kitchens, boiler house and workshops. 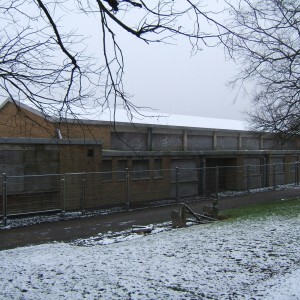 The original male wing was turned over to female inmates and the males were housed in four echelon blocks, segregated according to management classification. 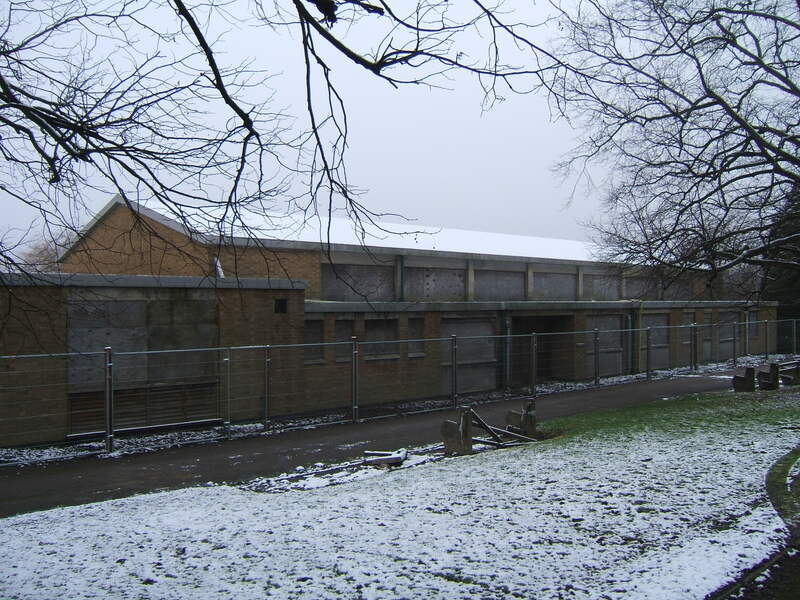 The original and new wings were linked by a covered way with both sides meeting at a new recreation hall with stage. 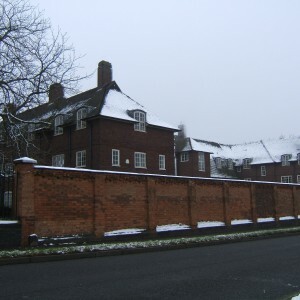 Residences for senior staff were provided within the complex and a lodge and new gate added to the Gipsy Lane frontage, east of the original to afford access to the new administrative block. 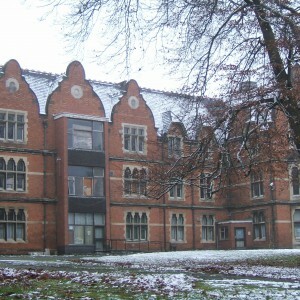 Further additions to the complex were completed by Hine in 1913 including additions to the kitchen a general bath-house. 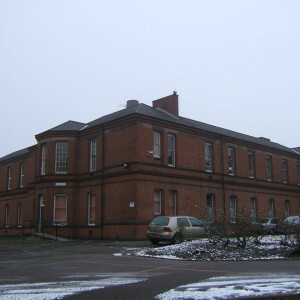 World War I saw patients relocated from the Nottinghamshire County Asylum at Radcliffe on Trent when that was taken over for military casualties, with the resultant overcrowding being exacerbated by the subsequent clearance of inmates from the Northamptonshire County Asylum at Duston in 1916, although both groups were subsequently returned during peace time. 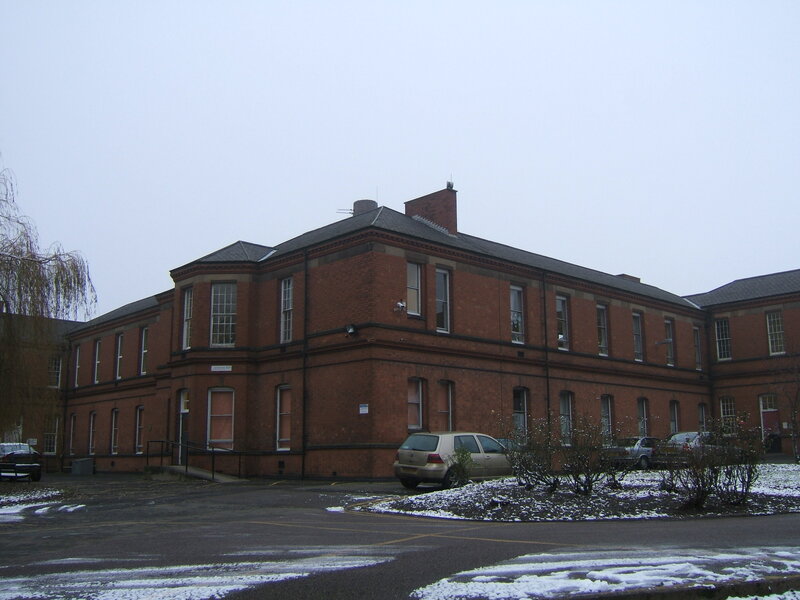 During this period the former Leicestershire Asylum whose patients had been relocated to a new complex at Narborough in 1907 had also been used for military casualties. 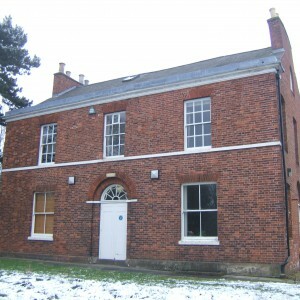 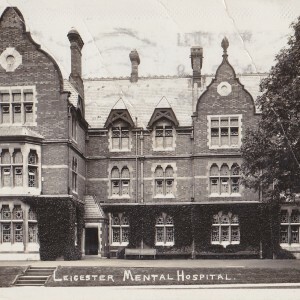 Leicester was one of the earlier authorities to comply with the 1913 Mental deficiency legislation having expanded initially used homes in East Leicester and Belgrave prior to purchasing the Leicester Frith estate near Glenfield and opening an institution initially for women and children in 1923. 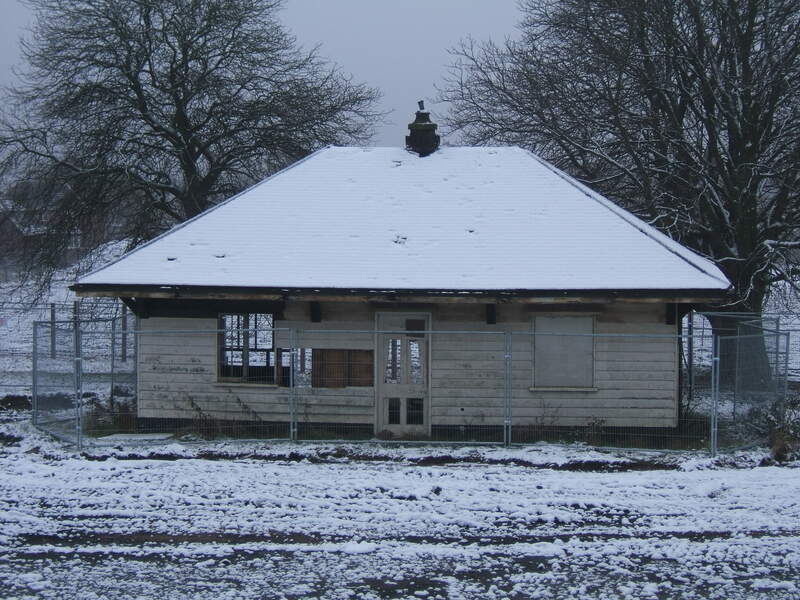 This was later developed into a Colony for mental defectives with villas spread through the grounds and an attached farm worked by colonists. 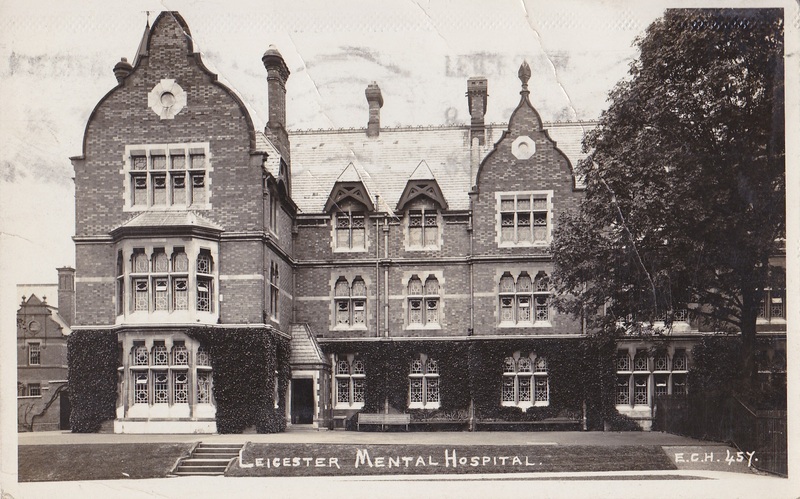 This enabled patients with what would now be termed learning disabilities to be transferred from the Borough asylum as well as workhouses in the Leicester Unions. 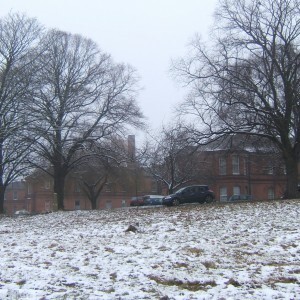 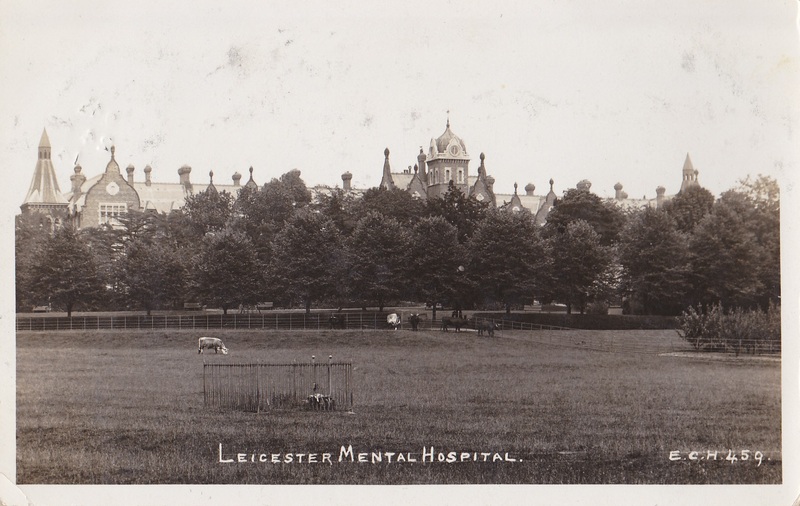 At Humberstone, the asylum now became the Leicester City Mental hospital in line with national changes in terminology during the 1920’s in a bid to reduce stigma with the term ‘lunatic asylum’. 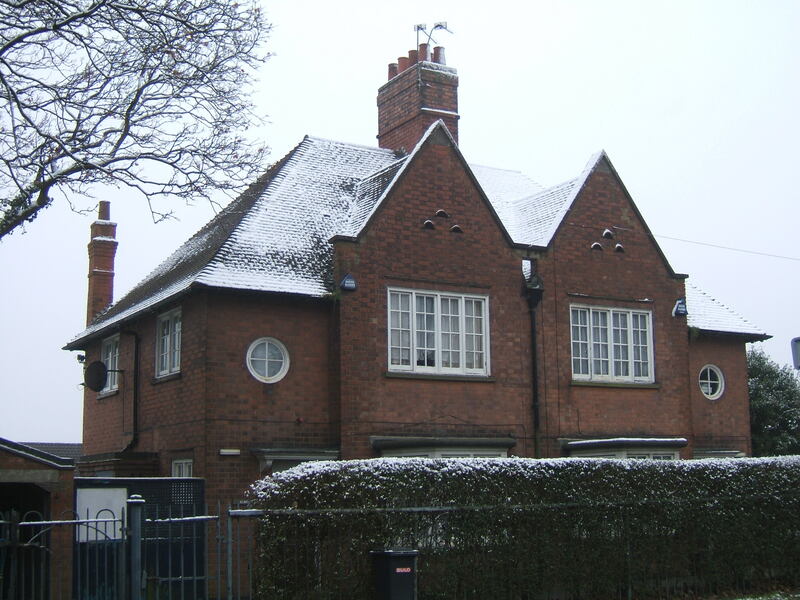 Further additions in 1932 included a three storey female Nurse’s home between the two gates on Gipsy Lane. 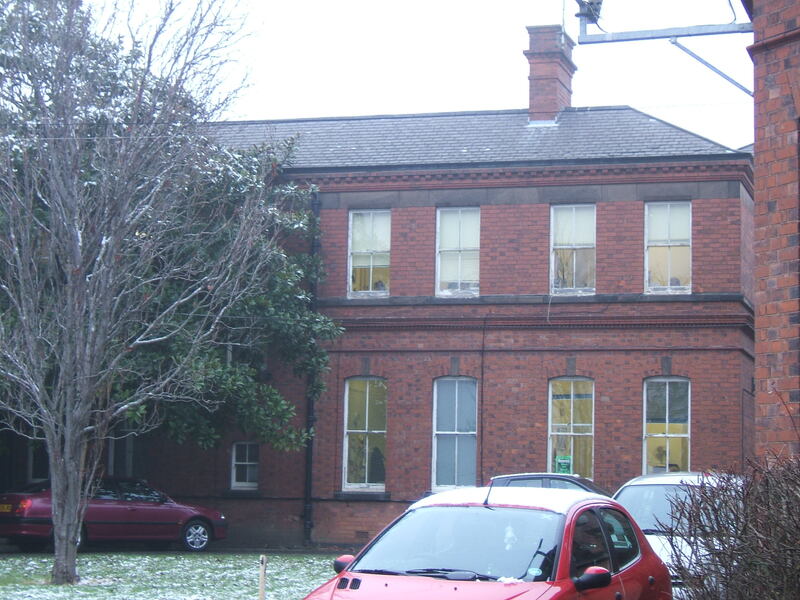 This provided recreational accommodation and suites for Sisters on the ground floor, with the upper two floors consisting of 70 rooms for other nursing staff. 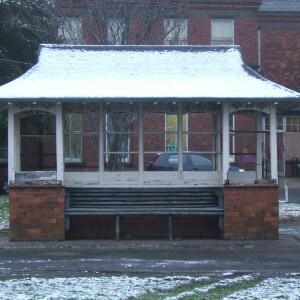 Waiting rooms were added to the west of the main gate in similar style. 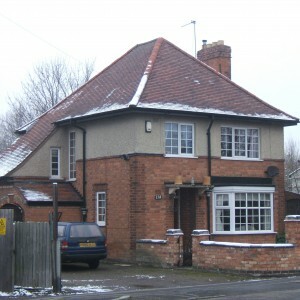 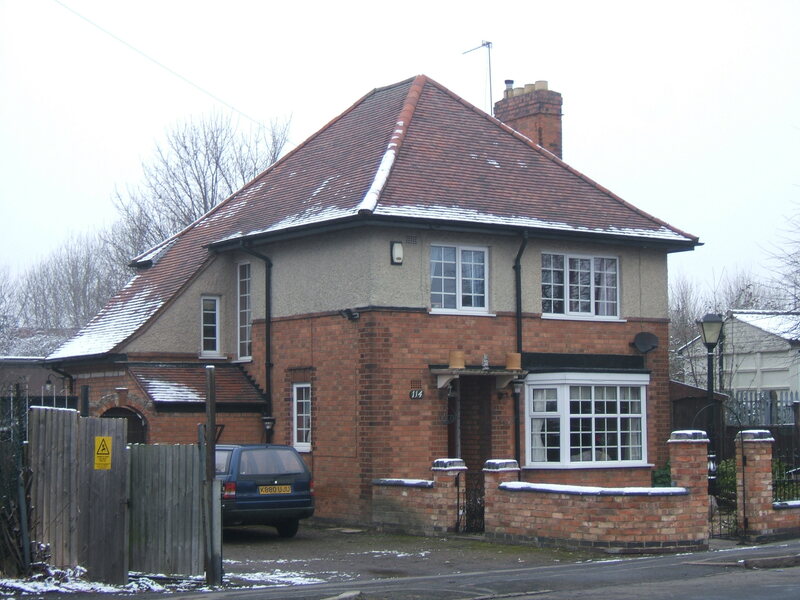 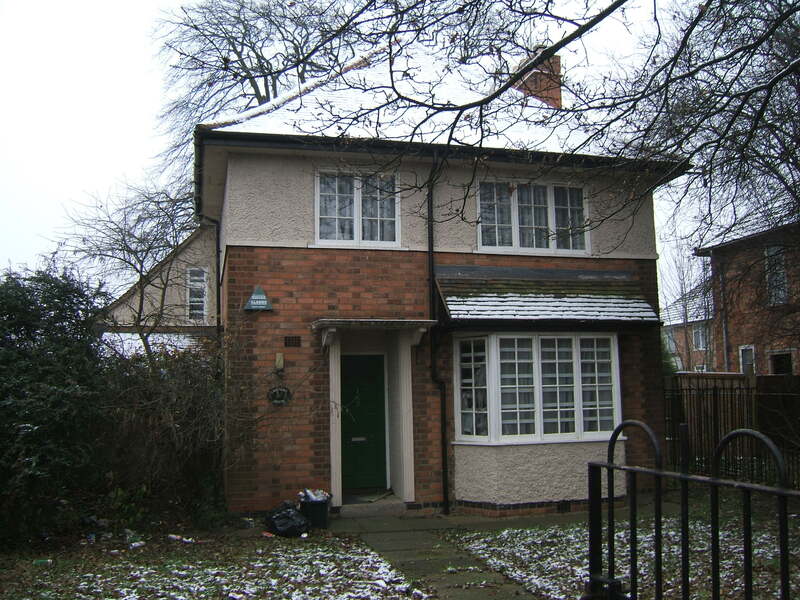 The purchase of further land on the opposite side of Gipsy Lane, close to the village included Humberstone Lodge, a three storey detached residence which was adapted and extended for working patients in 1935, this was subsequently renamed Francis Dixon Lodge. 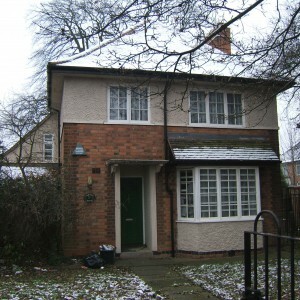 A further villa for 40 working patients of entirely new construction ‘Grange Villa’, was opened in 1936 and sited to the south of Gipsy Lane on what had previously been asylum farmland. 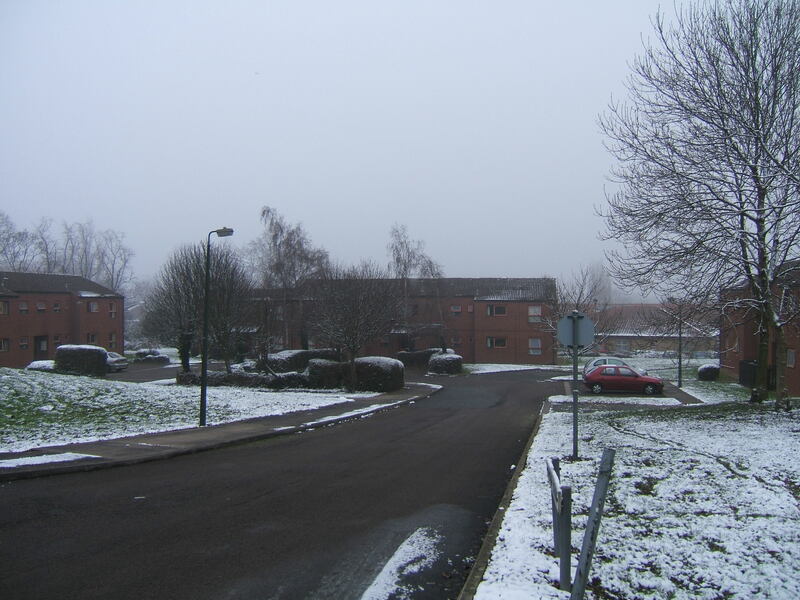 Two new houses, Ashcot and Elmcot, were erected close by for senior hospital staff and two further lodges were developed at the southern boundaries of the farmland with the main roads to the east and west. 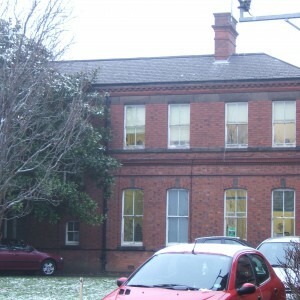 World War II brought further demands on the hospital site as the three detached villa properties were handed over to the Emergency Medical Service in preparation for wartime casualties. 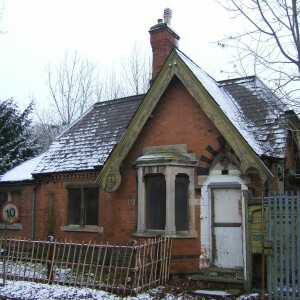 Of these only Francis Dixon Lodge was eventually required with The Villa and Grange Villa being returned. 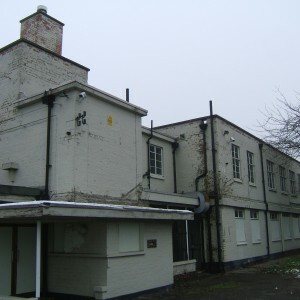 Part of the grounds adjacent to the East Lodge, Thurmaston Lane, were requisitioned for the use of the Air Raid Precautions service as a training centre and base. 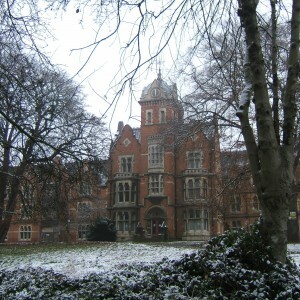 The building became the National Training College for Youth Leaders following the Albemarle Report in 1960 and was later known as Albermarle Hall. 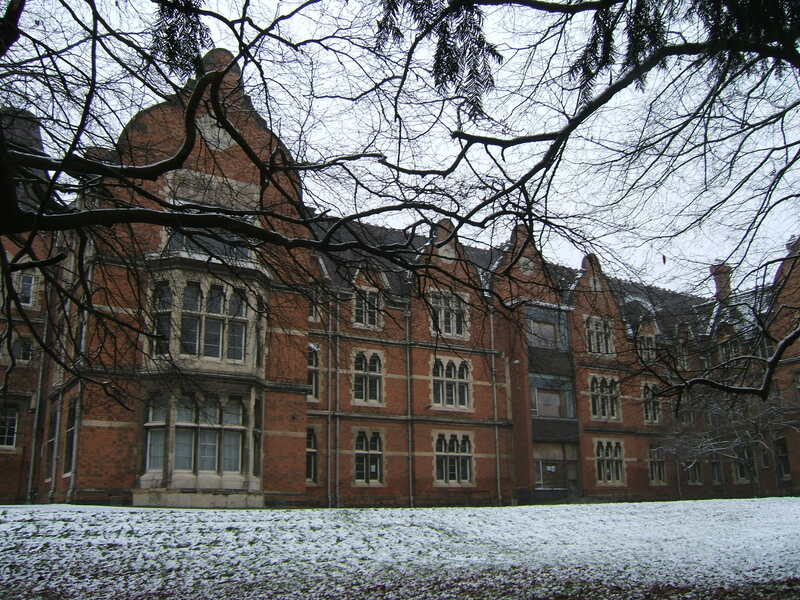 The college was eventually amalgamated into the De Montfort University and the Humberstone building closed. 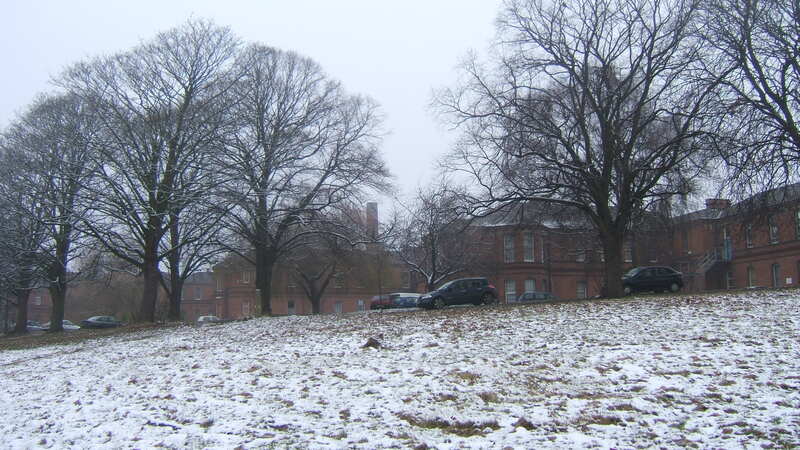 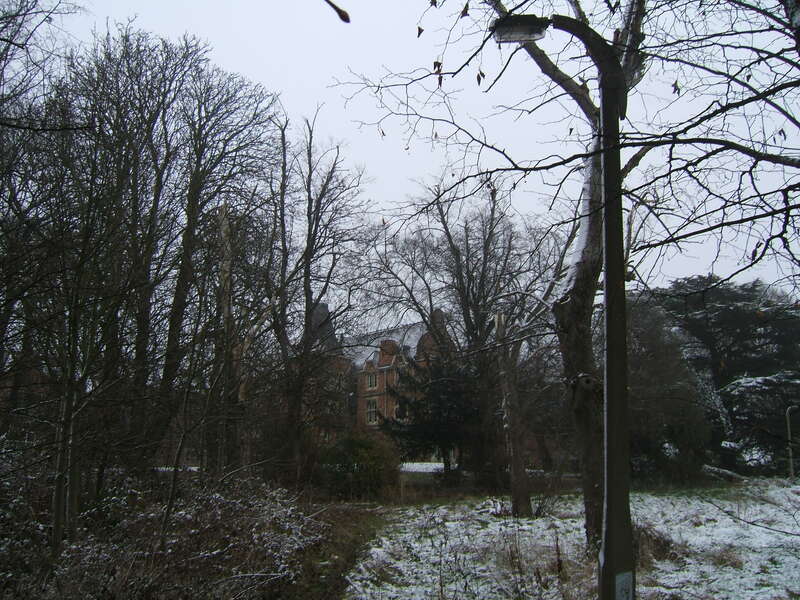 A further non healthcare related use of part of the hospital grounds was that of the climatological station (no. 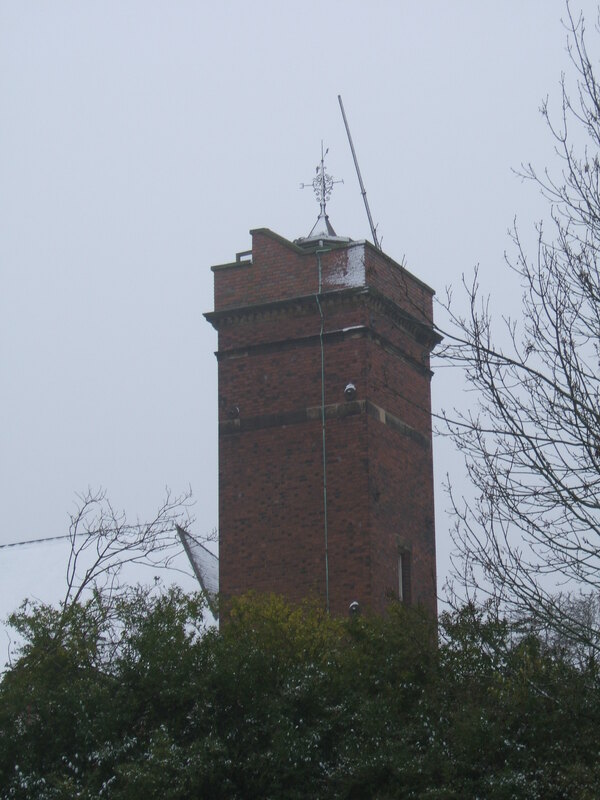 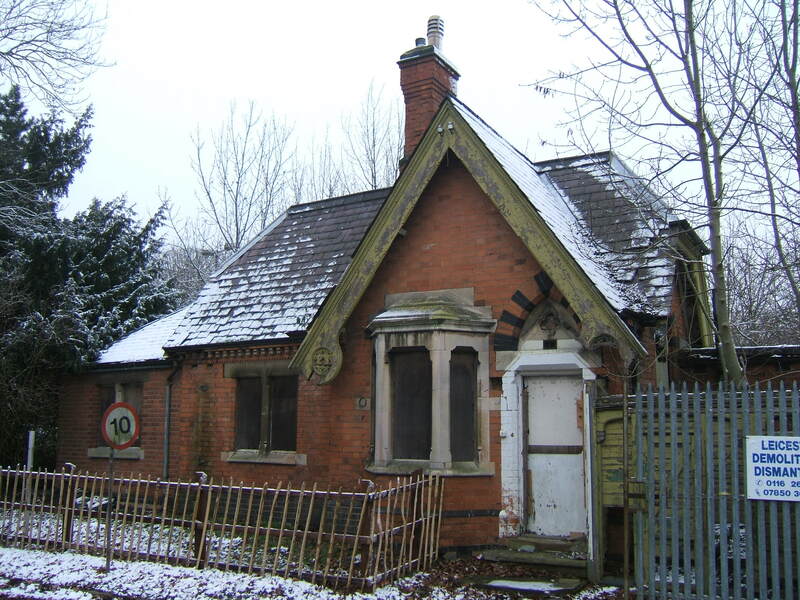 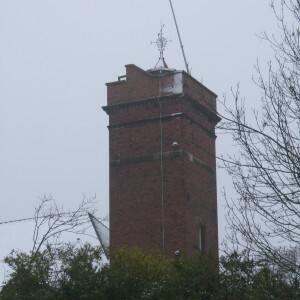 2503) based to the east of main lodge and entrance which served as the official weather station for Leicestershire and operated for over a century from 1871 to 1970. 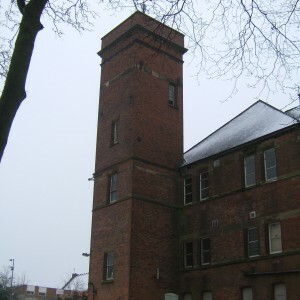 The arrival of the National Health service necessitated a further change as the hospital passed out of local authority control and the institution became ‘The Towers Hospital’. 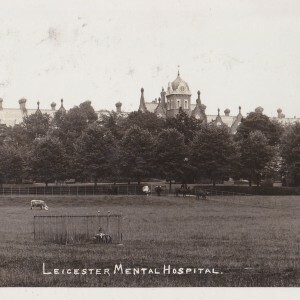 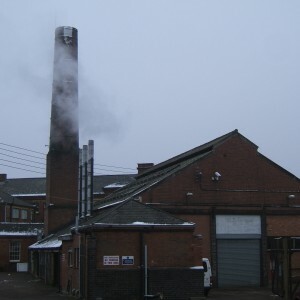 Initially the hospital was under a joint management committee with the Leicester Frith Colony which had become Glenfrith hospital, now the lead institution of a group of establishments dealing primarily with mental defectives. 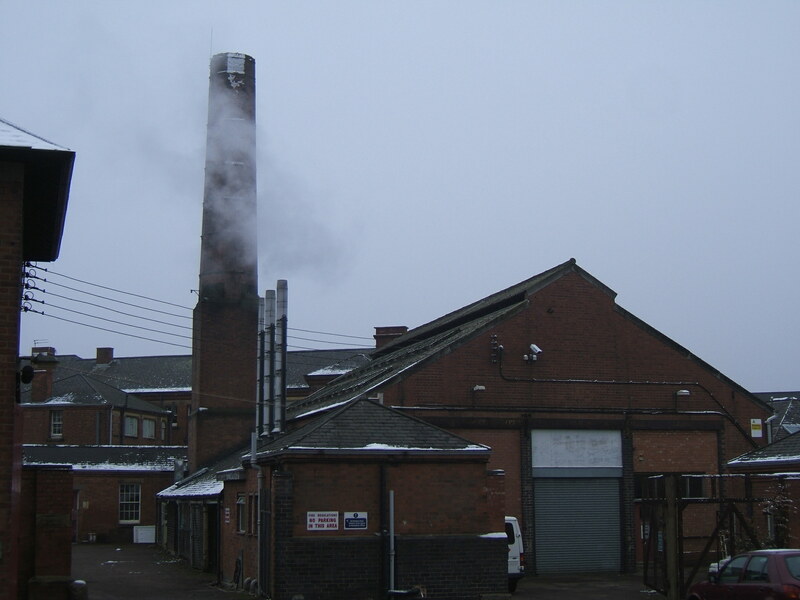 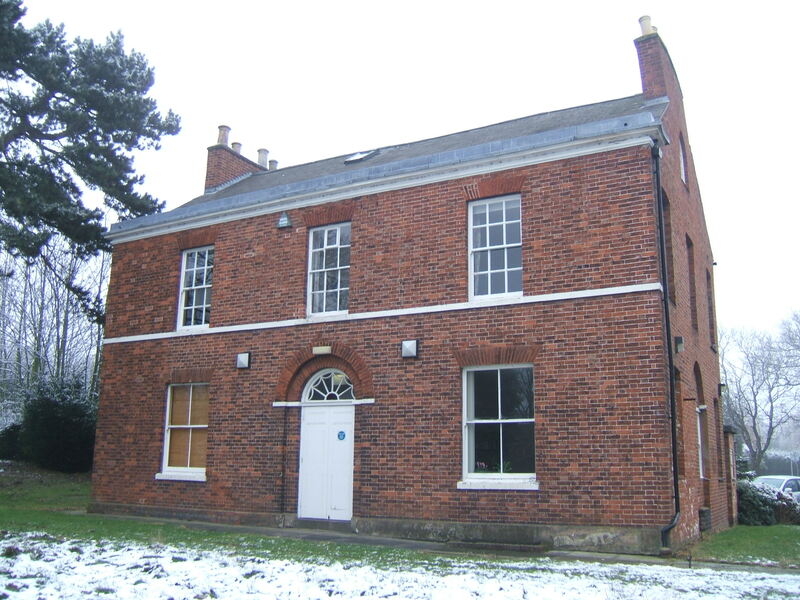 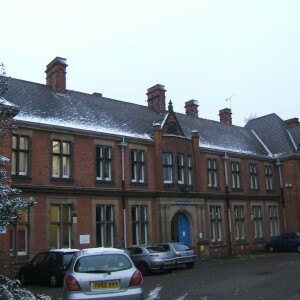 Others in the Glenfrith group included old workhouses, former mansions and the Stretton Hall Colony, formerly home to the Leicestershire & Rutland Joint Board for the Mentally Defective. 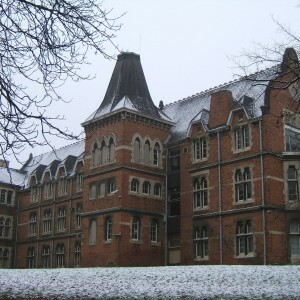 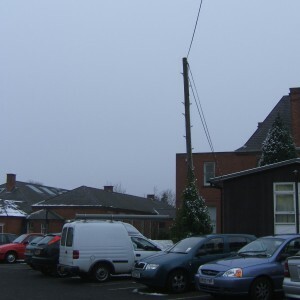 The Towers, being a large institution in its own right, formed its own group away from the Glenfrith group soon after and was later linked more closely to neighbouring mental hospitals in the area with which catchment area boundaries were modified, although few attempts were made to amalgamate services with the Carlton Hayes Hospital at Narborough to the south of Leicester. 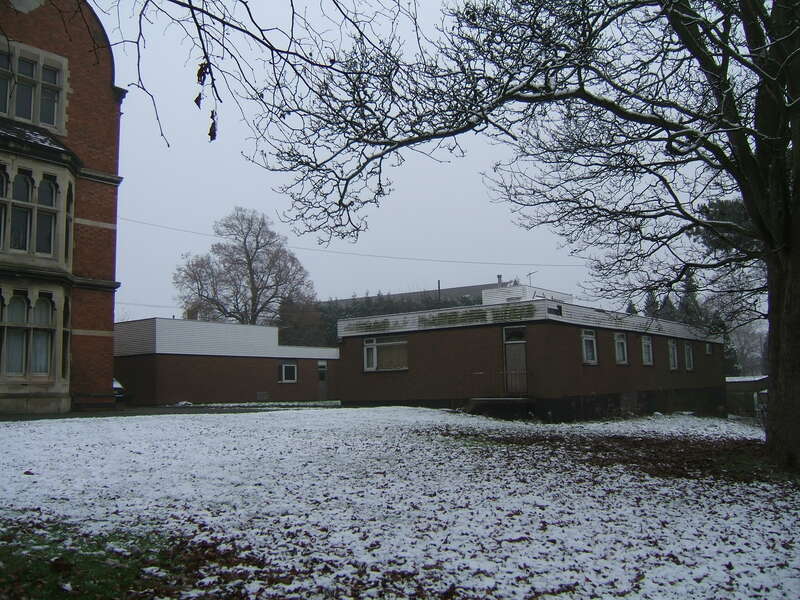 Developments on The Towers site during the 1960’s included an industrial therapy unit and nurse training facility. 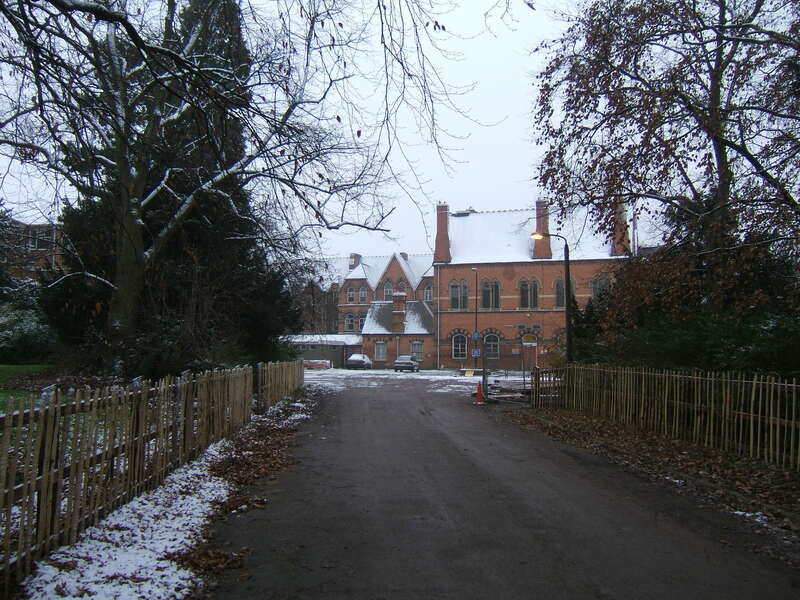 In 1969 an adolescent unit was developed in the Villa which was extended and renamed Oakham house. 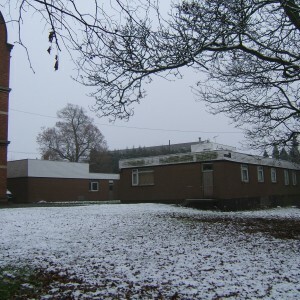 In 1974 further accommodation for staff was provided at Montrose Court, off Thurmaston Lane, consisting of three 8 bedded hostels, a bungalow and two senior staff houses. 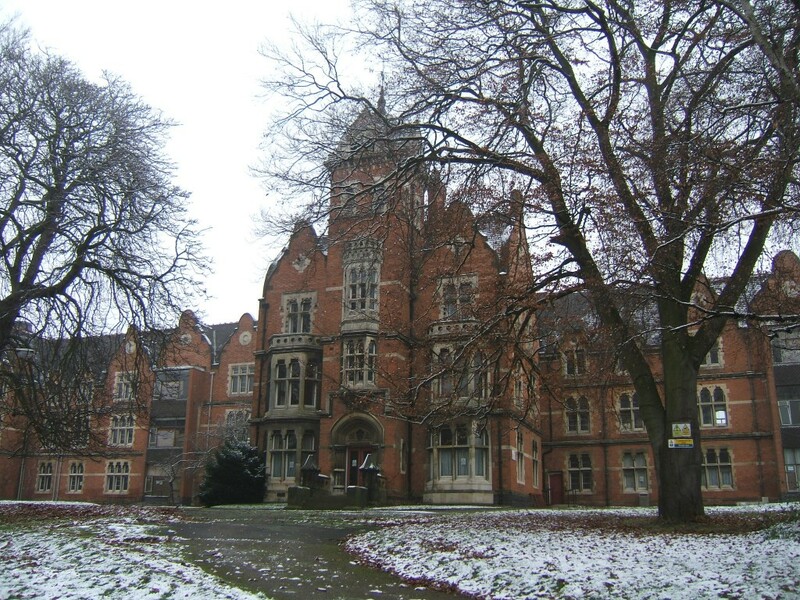 The land on which these had been built was attached to Humberstone Grange another large house purchased by the hospital and eventually used as a psychotherapy clinic. 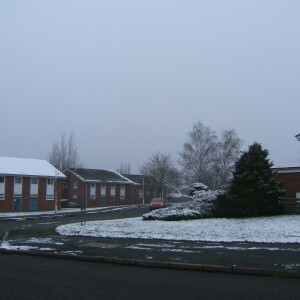 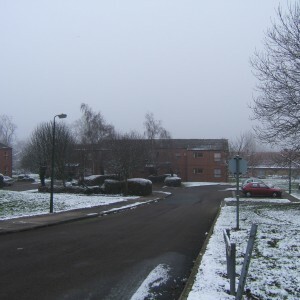 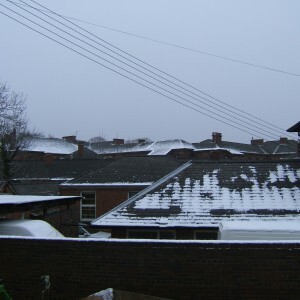 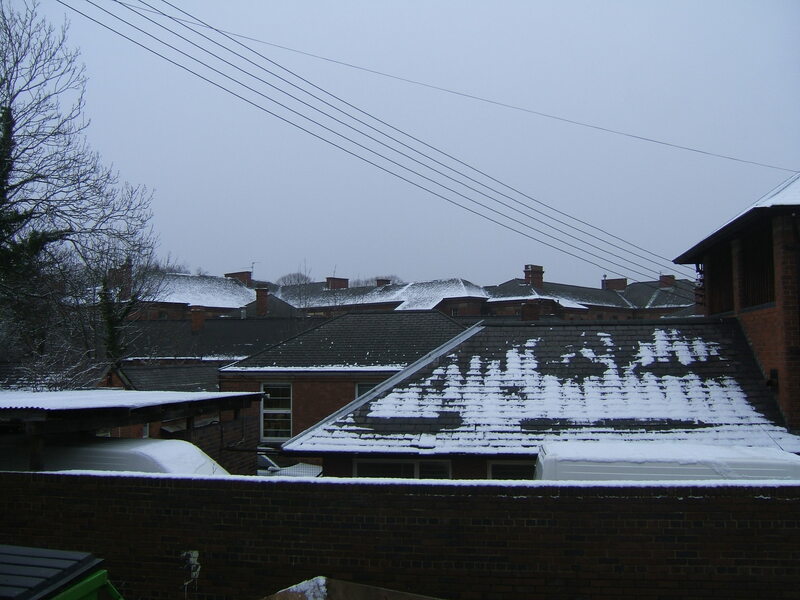 Much of the surrounding area to the south, east and west of the hospital had already been developed for local authority housing. 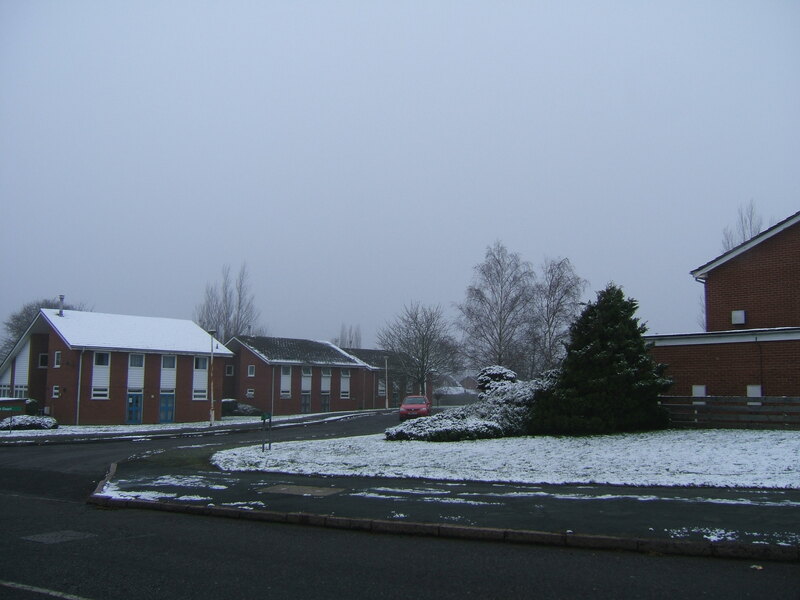 A further staff residential scheme of 38 bed-sits and one staff house (‘Oakcot’) was developed in 1980 at Gimson Close between Grange Lodge and the Humberstone Grange Clinic and a new regional secure unit was opened in 1983 to the south-west of the side adjacent to the west gate and named Arnold Lodge. 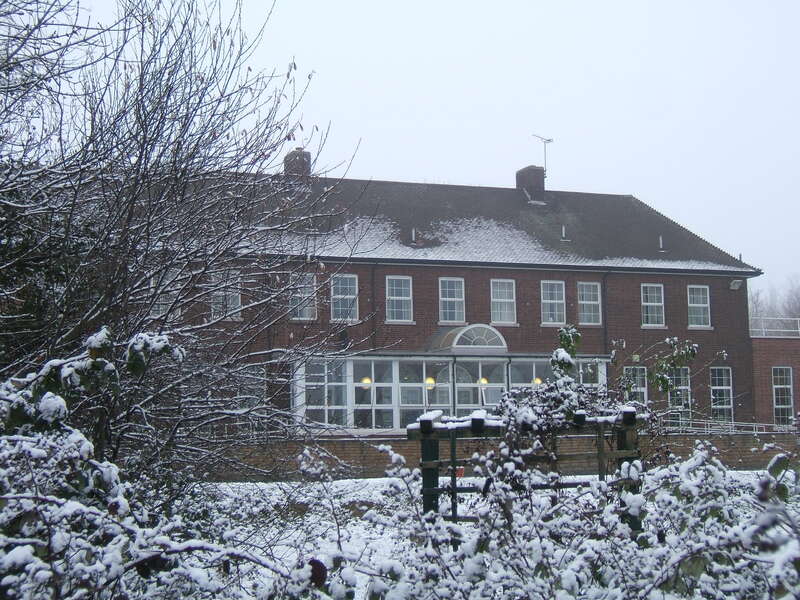 With the reduction in inpatient beds and implementation of the care in the community programme, wards began to close during the late 1980’s and early 1990’s.. 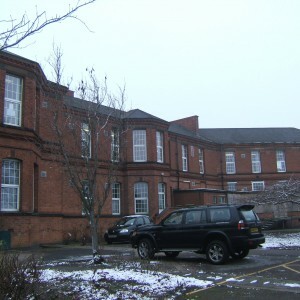 The Trent Regional Health Authority area was one of the more progressive organisations in terms of long stay hospital closure and by the mid 1990’s most neighbouring areas had closed their inpatient beds. 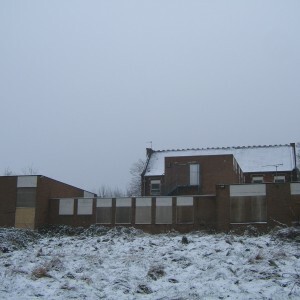 The program was influenced particularly by age, size of site, condition of the buildings and patient environment and by convenience of location. 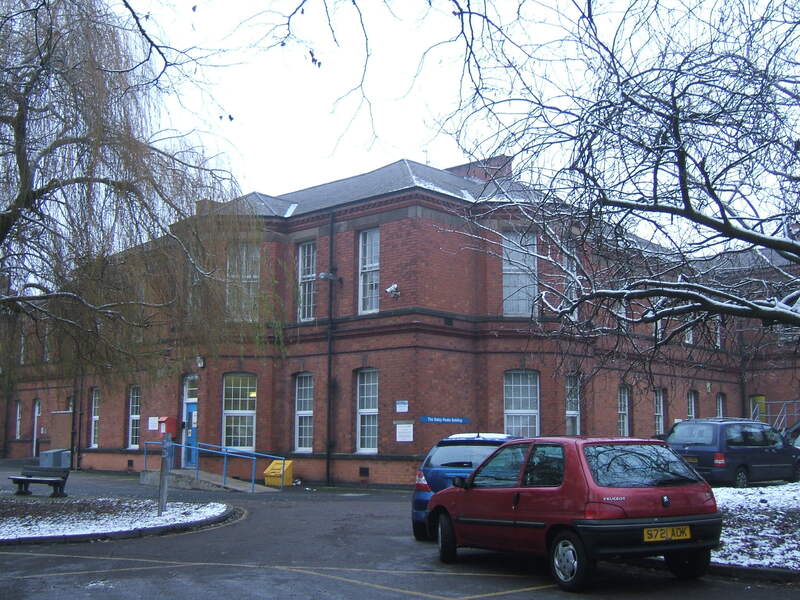 Therefore whilst the large and remote Saxondale and St. John’s hospitals were closed during the 1980’s the smaller sites such as Mapperley, Kingsway and The Towers continued in use much later. 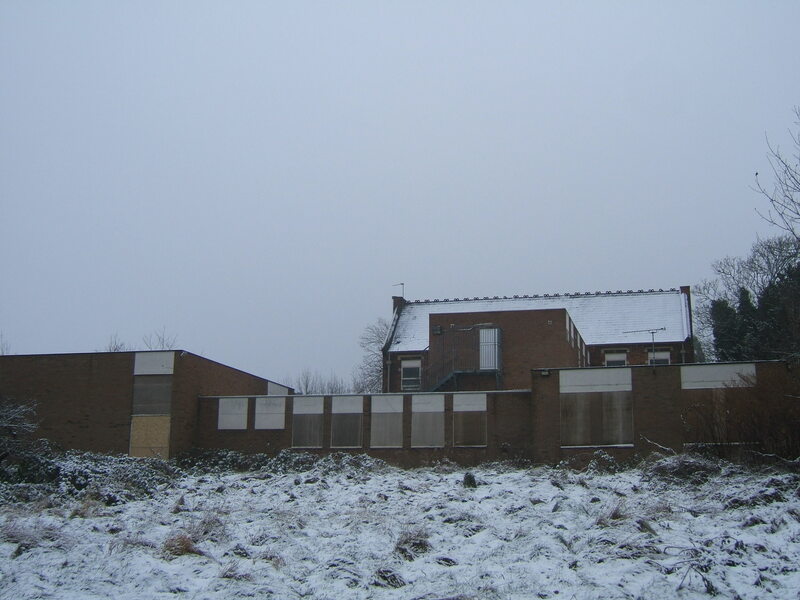 The nearby Carlton Hayes hospital closed in 1995 having removed its surviving units and acute services to the new Glenfield Hospital, developed from the open land surrounding Glenfrith hospital. 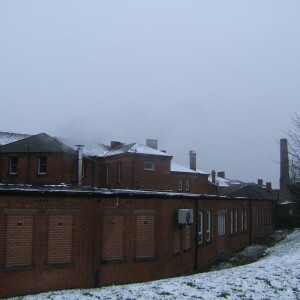 The Towers hospitals inpatient wards closed in 2000 having gradually gone through a process of retrenchment in order to vacate the original building. 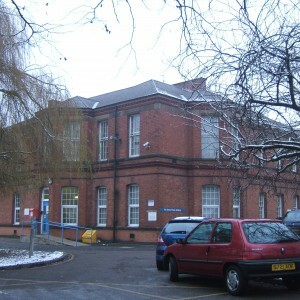 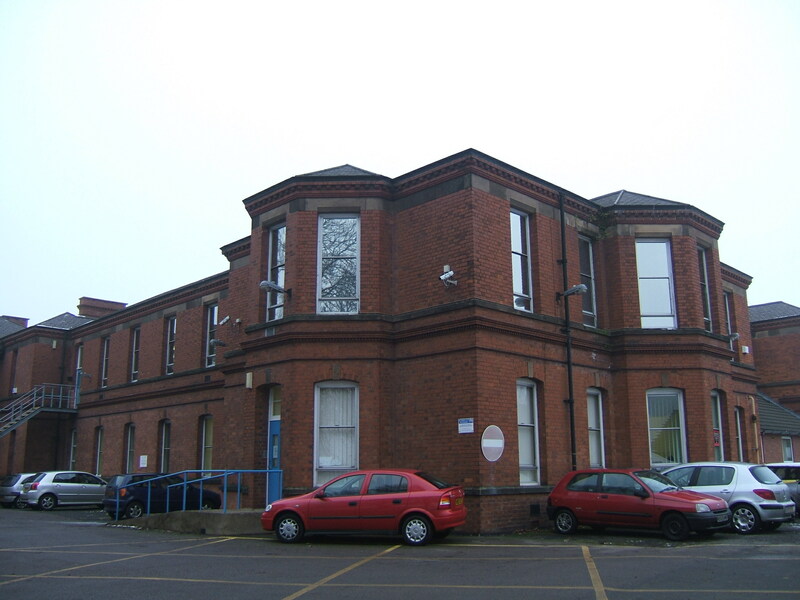 As wards in the former male wings were closed, the spaces were used for outpatient services instead and the name ‘Daisy Peake Building’ was adopted for this unit. 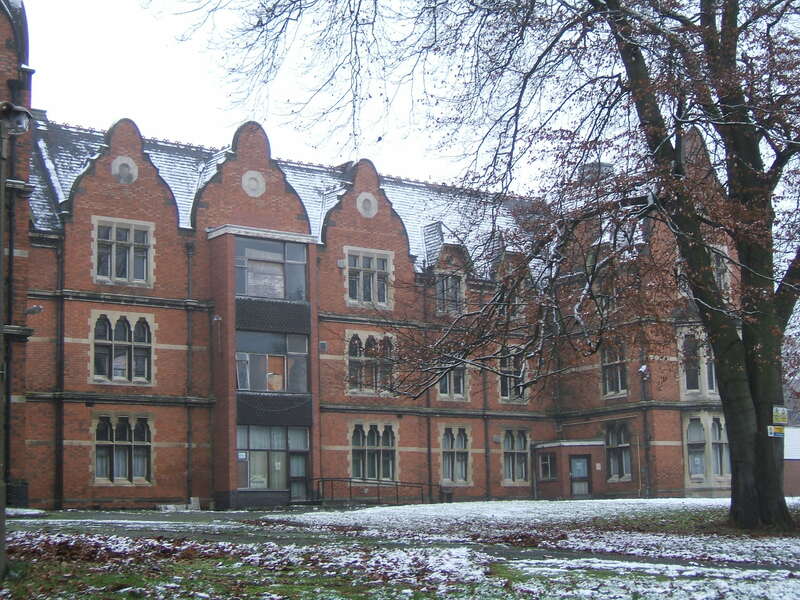 The former administrative block was renamed ‘George Hine House’ in memory of its prolific architect. 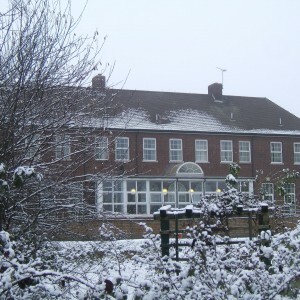 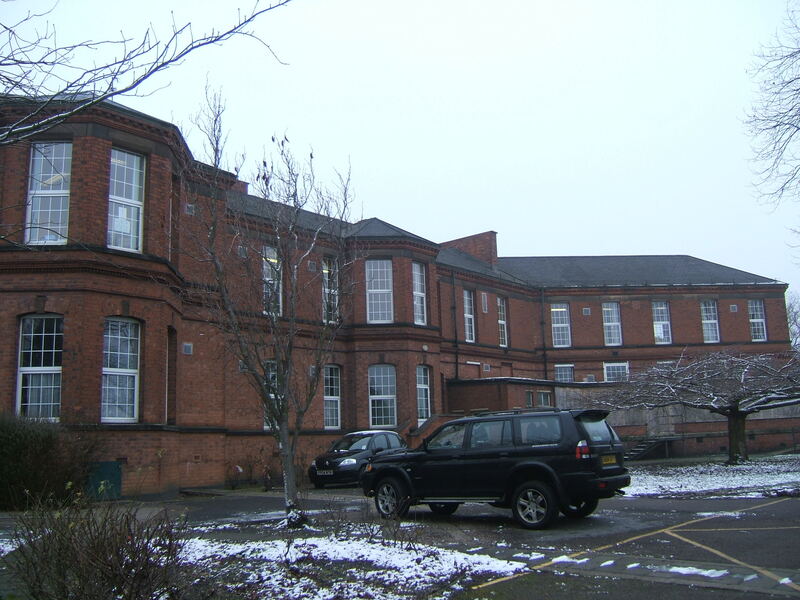 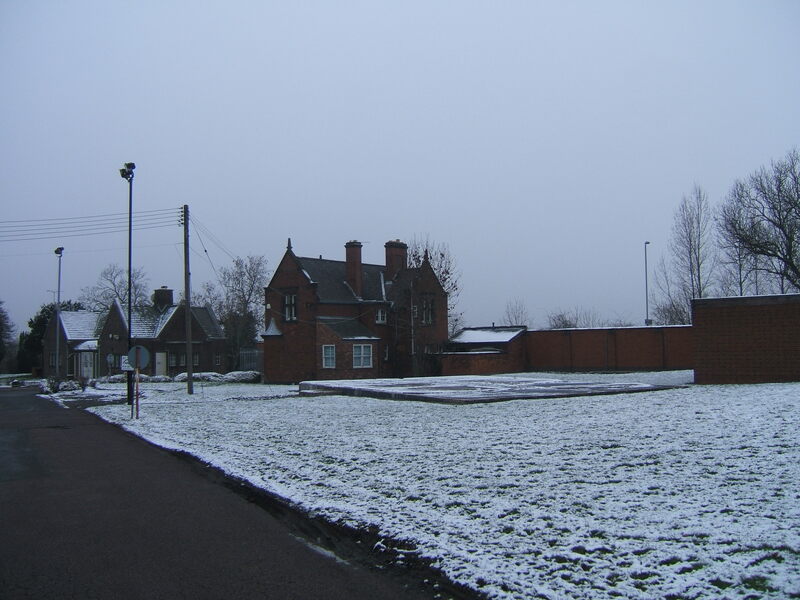 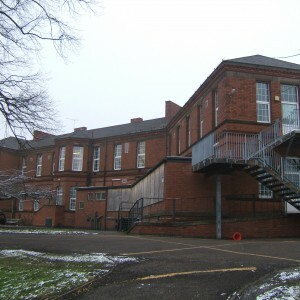 The Oakham House adolescent unit had been relocated to a purpose built structure in the grounds south of Gimson close during 1998. 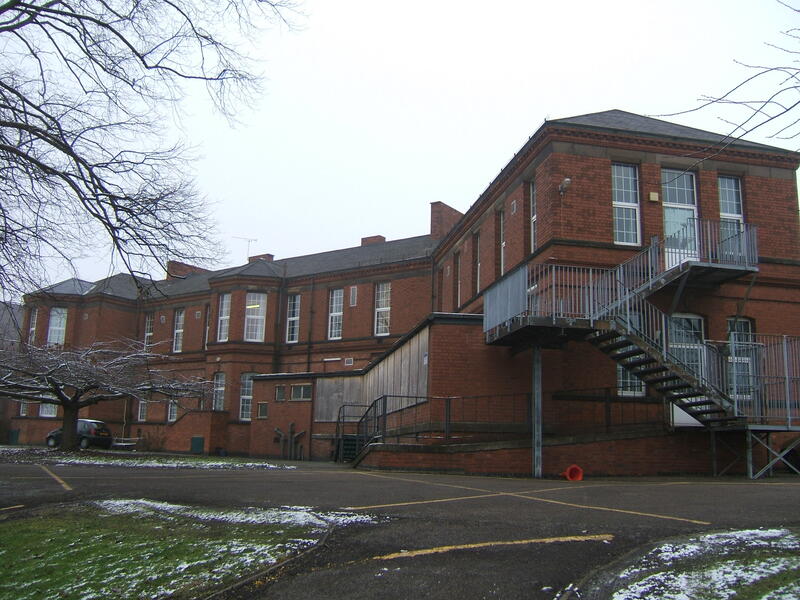 Other new buildings included the Jasmine Resource Centre built in 1996 near to Grange Villa, and The Willows Behavioural Rehabilitation Unit adjacent to Arnold Lodge. 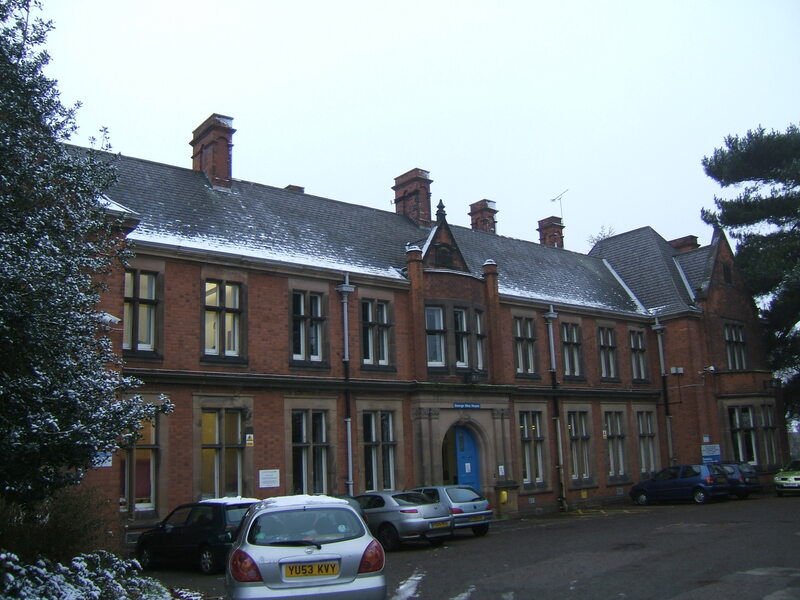 Francis Dixon Lodge, which had been developed as a therapeutic community eventually took over Grange Lodge, the original building has since been used as a private nursing home and much of the housing in Montrose Court was adapted as sheltered housing for former patients. 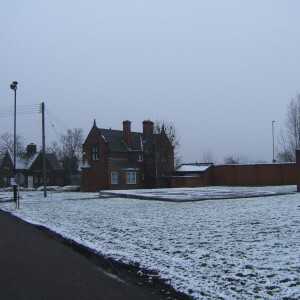 The hospital site has undergone gradual redevelopment with the earliest residential estate being constructed to the south of the site on the former farmland and sports grounds during the 1990’s. 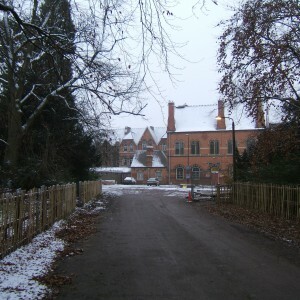 The original asylum block, lodge and villa were vacant for many years until residential development saw the main building and chapel converted to housing which has also included the female extension. 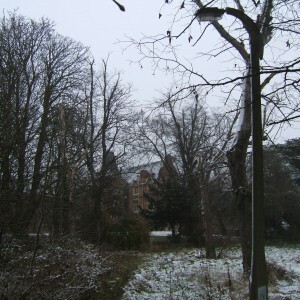 The villa and laundry have been demolished. 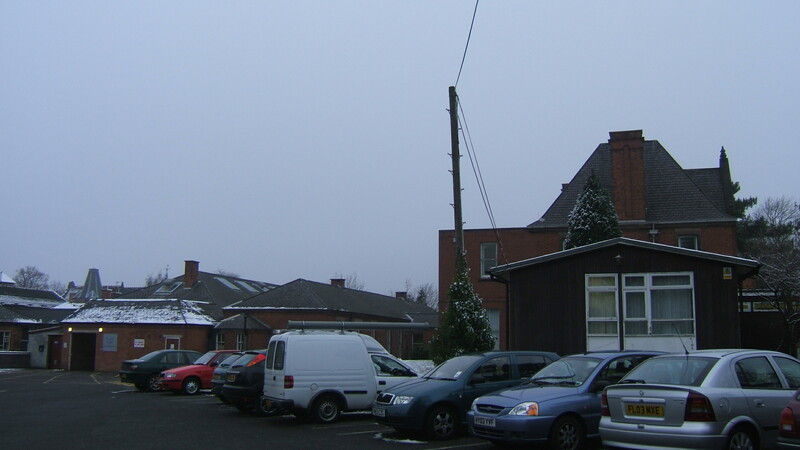 Services have moved from the remaining older buildings at the Gipsy Lane side of the site, the land having been sold for development in 2010 with the requirement for the site to be vacated by 2015, with the income from the sale of the site to be used for redevelopment of the Bradgate Unit at Glenfield hospital. 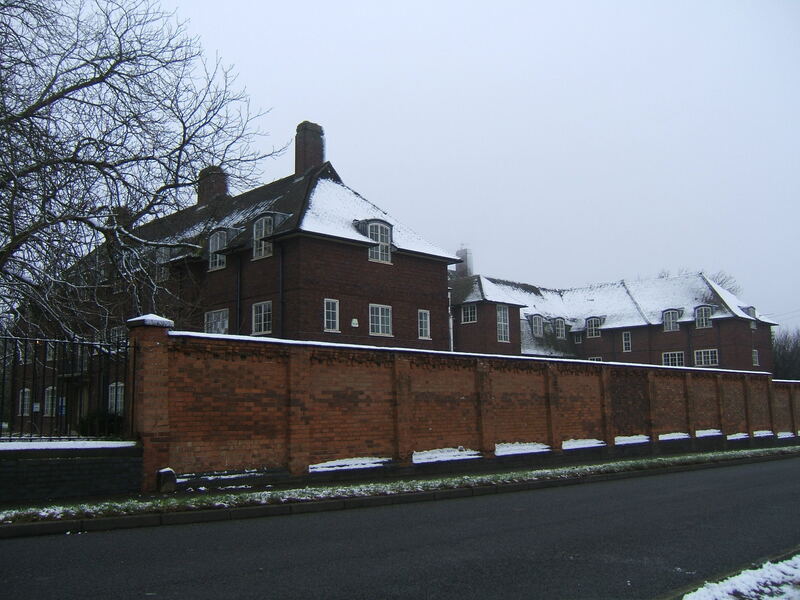 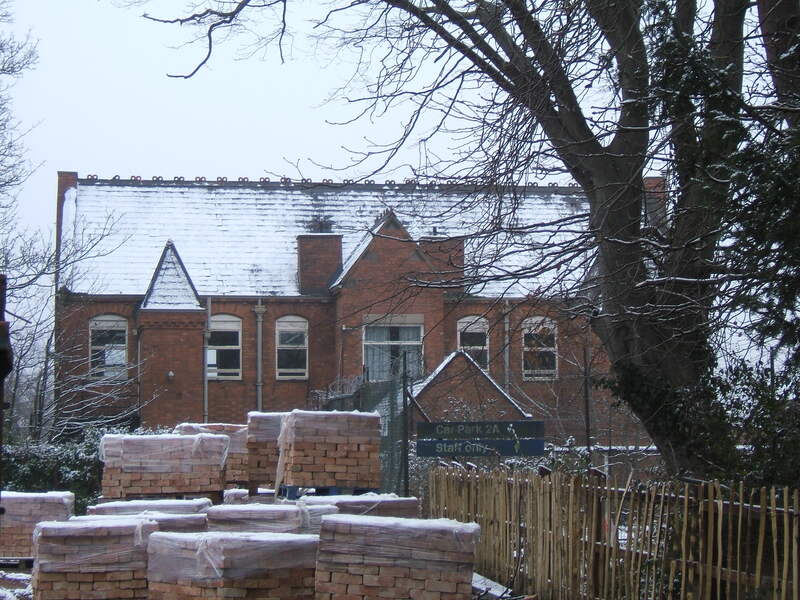 Services from Francis Dixon Lodge, the former male wing, Montrose Court, Gimson Close, Jasmine centre and the new Oakham house were transferred to various locations off site in preparation for the demolition of the buildings for housing development. 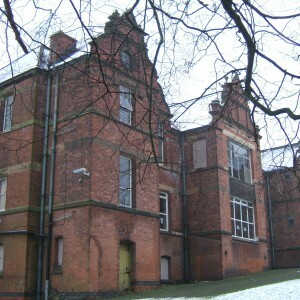 Of these only the main lodge, administrative block and nurse’s home are to be retained. 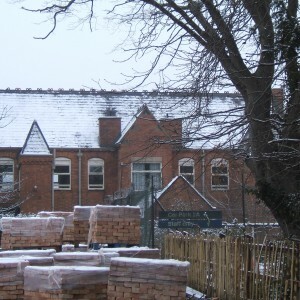 The Willows and Arnold Lodge Units are owned by a separate trust and are therefore unaffected by the sale and will remain on site.